Thinking about setting central american themed tank. Searching around for some fish and plants that should be ok in my tap water. 7.5-8.0 ph and 11 gh. For plants, dwarf sag, corkscrew vals, frogbit, and maybe javamoss fry caves. For fish looking at swamp guppy, brachyrhaphis roseni, merry widow livebearer, leptolucania ommata, or heterandria formosa. 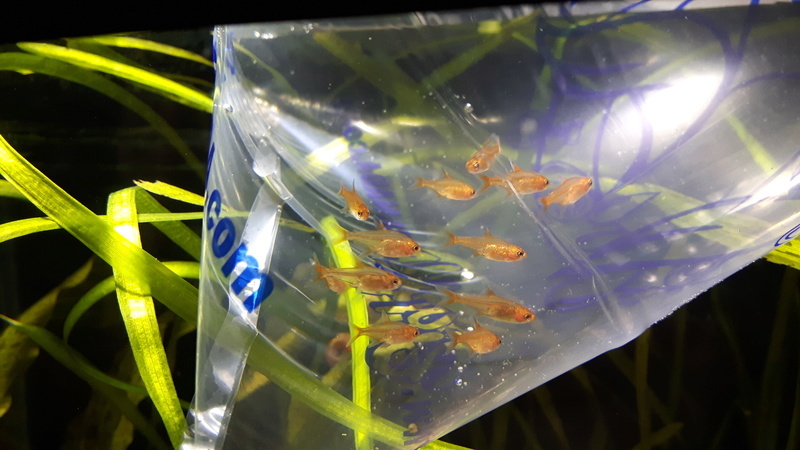 Maybe some corys or otos for clean up crew. Is there any other fish I should be looking at? It will be just a 10 gal tank so looking for something that's not too big and doesn't breed too quickly. I know that knocks a few livebearers of the list but they might be a little easier to find. I always associate bacopa caroliniana with Central America (including south of Mexico). An attractive and easy plant. @ fish lady I usually think soft and acid water when I think of the Amazon river. I'll look into a bit more and see if there is some naturally hard water species. Not that it really matters because I imagine most commercial fish are bred in water different than their wild cousins. If you have a look at the mongabay page, there is a river biotope with a moderate to hard pH. Plus there is a list of native fish/country. Finally got a chance to get to Edmonton to go fish hunting, only had time to stop at Big Al's. Only one I found on my list was brachyrhaphis roseni but they only had three females. My daughter was with me so she helped me pick out a dozen of these guys. They are pretty tiny. Is there anything that can go with them? Was thinking a lone blue ram or apisto but not sure if they would just be a snack. Probably only cories or otos would be the safe bet? It seems you can keep them with mollies, astyanax and even rivulus. You should be able to get some rivulus from a local breeder. Whoops, guess I forgot to mention that they are ember tetras. They are a bit small still and not as colourful as in some of the pics I have seen. Unfortunately I lost 4 of the 12 so far. Tank has been setup for a month and a half. Snails are fine. Fish are eating grindal worms. It is only a 10 gal so I'm not sure if there would be a lot of room for mollies. Rivulus would be nice but I have never had good luck with eggs. I don't know of any killie keeper in Red Deer. I assume there is probably some in Calgary or Edmonton but I only go to either place once a year or so.